When Ritchie Blackmore left Deep Purple in April 1975 he already had his first solo album in the can, recorded with members of an American outfit called Elf that had supported Deep Purple on the road. “Ritchie Blackmore´s Rainbow” went Top 30 both Stateside and in the UK (as well as many other territories) but the initial band never toured. Instead, Blackmore kept singer Ronnie James Dio and fired the rest of his crew and then set out to form the band that would record “Rising”. This album is very good, but at the time I recall thinking it was not quite as good as Deep Purple – the backing musicians did not support his talent to the point that the dedicated masses of yesterday would have come to expect. I mean, it was good, but it was not that good. To me, “Man On The Silver Mountain” should have been part of the Purple catalogue. Had Purple recorded a third MK3 album, it probably would have been, but of course it would have been different. To me, this record was beautiful, but it was not as good as Purple. 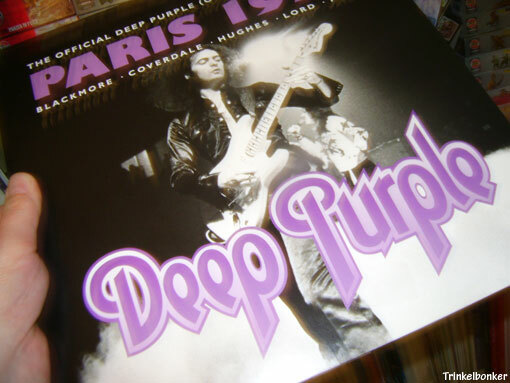 At the time, I felt that my money was on the new Purple that were gearing up with new guitarist Tommy Bolin. I just wanted my favourite band to live. Blackmore had let the team down, in a sense. He would redeem himself with “Rising” and his journey with this band later but back in 1975 I felt slightly betrayed. But hey, I was just a kid. Today I can see it for the classic album that it surely is, and it certainly was a fresh start. I have heard tapes of early Van Halen playing “Man On The Silver Mountain” live, so it must have meant a lot back in the day for a lot of budding guitar heroes. I guess it will always pale beside “Rising”, but then this was a side project that accidentally took on a more serious side. It gave him the courage to walk out on one of the biggest bands on the planet. Blackmore´s sound was probably never better than on this record though, Martin Birch really knew how to capture the magic. Most people in the cities have food for a couple of days at home – that really is a terrible miscalculation if something goes wrong with the system (economic collapse, war, famine etc). Everybody should be ready to take care of themselves and their loved ones for at least 30 days. That kind of thinking is just basic common sense but it is also an important first step towards a mindset that will set you up nicely for the initial period of any kind of emergency. Food, medicine and water should be your first priority, but you need to take a long hard look at your situation. If you make a habit of buying a few extra cans of food, or a few extra items whatever it might be (candles, batteries etc) every time you go to the store, it will not take very long before you are in a far better place than before. At that point, it will become fun. You will start to look for stuff that is good to have that you normally would not buy (like powdered milk etc) and you will probably take a look at the survival type stores online as well. And blogs etc, including all the information that you will find on YouTube (search for Prepping, Off grid, Homestead etc). You will certainly find good books on the subject. One thing leads to another. Before you know it you will have a little system in place, and whatever is used will be replaced. But the first thing that has to happen is that you take that initial decision to go ahead, first you double up on everything, then you triple up and then you go from there. What if the electricity is turned off for some time? Then you need to know that you can still prepare your food and that means looking into that situation and to secure a Plan B. For people living in the cities, this is a little trickier than if you live in the countryside, but it is managable. Perhaps a bigger Plan B could be in the cards? Like, if things turn really bad, is there a place to go to that is more secure? Do you have options? Do you have friends that you can talk to about this and create solutions? It all begins with that first small step though, the decision to get going. 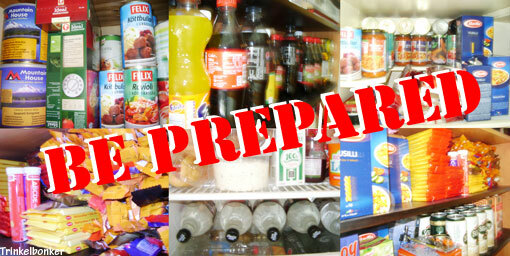 Being prepared can never be a bad thing. If the worst happens, you do not have to act like everybody else in a state of panic – also, if the financial system is compromised, you just can not count on having total access to your money on the bank. That is not going to happen, just look at Greece. Have cash at hand, things to barter. The triple LP release last year of Deep Purple´s “Paris 1975” flew under my radar, but it was quite something to unpack it today and just experience the pure joy of the format. Did you know that 1,200,000 Swedes arrived in America between 1885 and 1915? Many settled in the Midwest in Minnesota and among the descendants you will find some rather well known people, like Uma Thurman, Jake Gyllenhaal, Charles Lindbergh, Buzz Aldrin, Steven Söderberg, Tommy Bolin, James Franco, Daryl Hannah, Val Kilmer, Mark Hamill, Robert Englund, Mark Wahlberg, Kevin Spacey and Kris Kristofferson. The list goes on and on. Hell, Ann-Margret grew up in a village called Valsjöbyn not long from where I live in Jämtland County. It just occured to me that I never once heard of a Swedish politician that ever suggested a campaign Stateside to see if some of the nearly 5,000,000 descendants of Swedes that live over there these days would like to resettle to the old country. It sounds so obvious to me and still nobody ever thought of that. I for one would have loved that idea.